I’m going to average out the stars to three on “The Last Boy and Girl in the World” because that is the only fair way to deal with what felt like two separate books. The story itself is beautiful and haunting. The feeling of love of your hometown and the shock of losing it overnight is described very well. It also points out what can happen when greed and government corruption go up against the poor. Add to it a flawed family that is very relatable and you have a perfect book, right? No. Keeley, the narrator, almost ruins the entire thing. I’ve never read a character that could be so insecure and yet think so highly of herself in terms of how she’s viewed by her friends, family, and even teachers. Even when confronted with how they really feel she doesn’t get it. In fact, I’m shocked she even managed to have friends. That would have been ok if there had been a character growth arc, but there wasn’t. She suddenly grew up in the last couple of chapters and her relationship with one character is inexplicably fixed even after not seeing one another for months. It felt crammed in as an afterthought. If you read the book description and “The Last Boy and Girl in the World” sounds interesting to you, then give it a shot. The writing is good, but it just wasn’t for me. 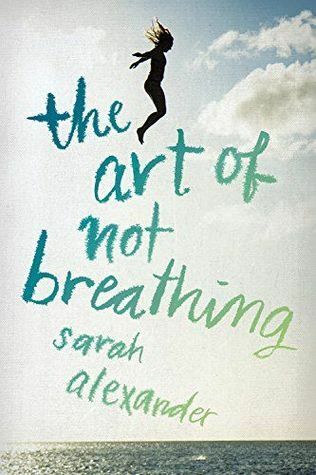 “The Art of Not Breathing” is far from your typical YA book. In fact, I found it quite odd. That isn’t actually a bad thing considering that our narrator, Elsie, is different from the norm herself. This is one of those books that mentioning much of it will spoil the whole thing. I can say the Elsie is dealing with the drowning death of her twin brother when they were eleven and a very, very broken family. Her life is extremely painful and the author spares no feelings in describing the stark reality of everything that she is living through. On top of her home life, she is dealing with a bullying at school. In fact, there is one scene that describes the most brutal bullying situation I have ever read. It was bad enough that I had to put the book down for a bit. One other thing that may trigger readers is that her brother has a severe eating disorder. I applaud the author for her frank description of what it does to him, but I want to warn everyone that it is graphic. I recommend “The Art of Breathing” to anyone looking for a good contemporary read that unflinchingly examines broken families, the lies they tell, bullying, and eating disorders. There is romance, but if you’re looking for something lighthearted in that genre I’d suggest you look elsewhere. I wish there were more stars to give to “OCDaniel.” It’s a wonderful and emotional read that I think any middle or high schooler (or adult) will enjoy. Daniel is 13 years old and has OCD (obsessive compulsive disorder), but he doesn’t know what it is. Written in the first person, he tells how his rituals affect his life and when the first symptoms began. While OCD is the main subject, Daniel also describes feeling like an inferior sibling and being bullied for other reasons, making it a good look inside the overall hell we know as middle school. There is a bonus mystery to be solved to add even more reason to keep turning the pages. I’m going to get personal for a moment. I have OCD, but it is the result of a bad accident that left me with a traumatic brain injury. This book had me absolutely sobbing during many of the chapters. The descriptions of the torment were almost too realistic. OCD is bad enough as an adult, but to go through it as a kid must be horrible. I hope those who have it, whether or not they know what it is, are able to find this book. It has the potential to help many people. “OCDaniel” is a book I recommend to anyone, even younger children who are able to read at a middle grade level. It’s a fast read, making it a good choice for reluctant readers. There are many opportunities for discussion for parents or teachers who wish to read it with their children or class. 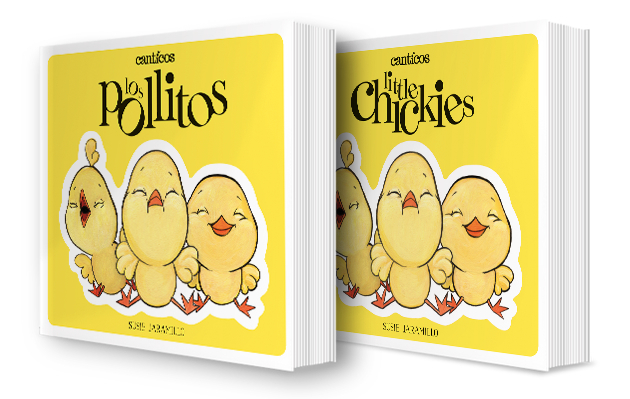 “Little Chickies” is an adorable board book that introduces Spanish or English, depending on the child’s native language, in a simple and easily accessible way. The story is told in both languages, one following the other, with the same illustrations in each version, allowing children to easily see the connections. On top of that, there is a download available of the story being read. Very cute and inventive! Spending the summer with his hotel-developer father in Puerto Rico, seventeen-year-old Lucas turns to a legendary cursed girl filled with poison when his girlfriend mysteriously disappears. “A Fierce and Subtle Poison” is a wonderful tale of magical realism and fantasy based heavily upon the stories and superstitions found in Puerto Rico. 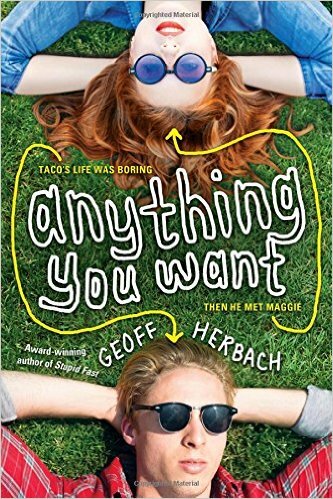 If you’re looking for a book with typical romance, this one is not for you. The focus is more on the mysterious nature of a girl and a boy’s search to find himself. I absolutely loved the look into how Puerto Ricans view the rich Americans who are taking over and destroying the natural beauty of their homeland. For his part, Lucas, the main character, does have a love of the place and the people. It’s nice to see hope for change. The characters are very well-developed, and the book reads at a fast and easy pace. It’s easy to get lost in the world and believe in magic again. I can’t say much else without giving away some important things, but I can say the ending is satisfying and leaves room for a sequel without needing one to make the story feel complete. It’s a really fun ride. “A Fierce and Subtle Poison” does have some themes that might not be appropriate for younger middle graders, but anyone older who loves a good fairy tale will enjoy this book. I highly recommend it. Seventeen-year-old Tyne and her boyfriend Stick investigate a decades-old murder after she finds the body of a girl in the basement wall of her apartment building. “Defender” is a gritty mystery set in a downtrodden urban area of Toronto. While I felt that the varied races of the characters and the realistic feel of the location were unique, there was something off about it all that I can’t quite put my finger on. It didn’t all come together in a way that could have taken it from okay to great. There were a lot of subplots occurring, and that may have been a barrier in keeping the story cohesive. The mystery contained in the story was a good one with an ending I really appreciated. The look into the very real problems with the foster care system and the difficulty of being able to escape poverty were eye-opening. Many readers are sure to find characters they can relate to, which for many may be a rare occurrence. “Defender” has its good and bad points, and I encourage those who are interested to give it a try. There is quite a bit of disturbing imagery, so those buying for younger or sensitive readers should keep that in mind.